Warrens Landing. A island in Symphonia where the Lord or Lady of the world will live. Players who choose to live in Symphonia will be greeted by this tiny Palaza where they will be able to board ships, and go on adventures. A closer view of Warrens Landing. Here you can see Left to right The Recruitment Barracks, The Travelers Inn, Warren Family Mansion and the Capitals courthouse. 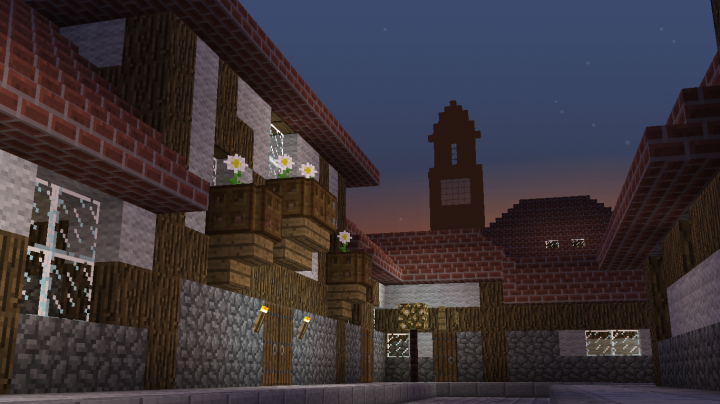 An image from a part of the main town. You can see one of the mineral islands in the background. A Foodshop that can be run by a Player who decides to live here. A Symphonian House Players can buy to live at. An Image of Avalons Capital, Caer Lyon. The Inn located in Avalons Capital, Caer Lyon. An early image of Caer Lyon. 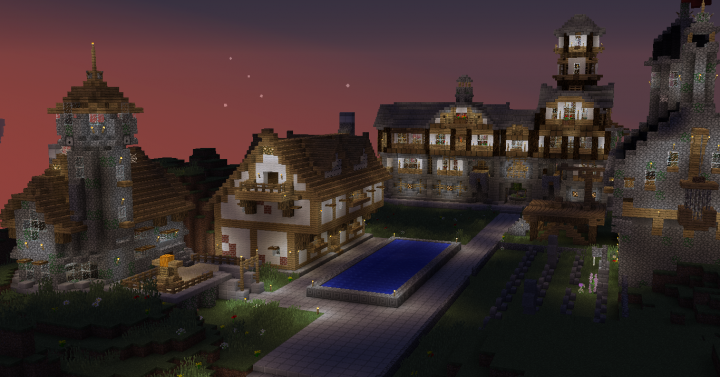 Another Image of Caer Lyon, here you can better see some of the custom landscaping. All images of Avalon are 2 years old. ﻿LAST IMPORTANT THING: ﻿Do you have your ﻿own house or build? ﻿Would you like to contribute? Well with the power of the internet you can! Just make a house or village (or anything really.) And set up a schematic and send it to me (preferably linking me to where you've posted it.) When the server is up it will be credited to you. 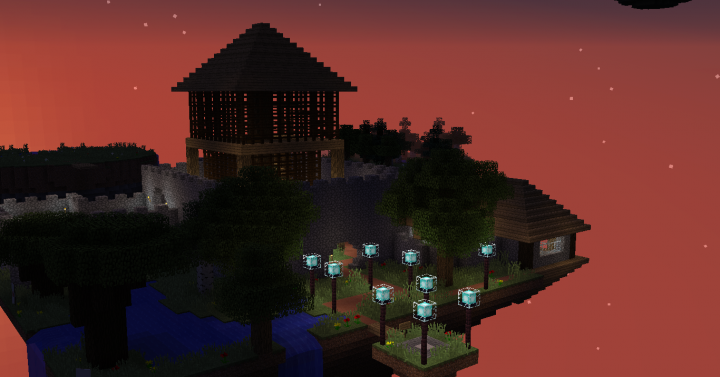 The Server: This server is currently under development, as we are currently building around 5-7 different "Worlds." These "Worlds" are actually just one very large islands, or clusters of different sized islands. Each "World" has a Capital City. Each of these locations represents a "play-style." 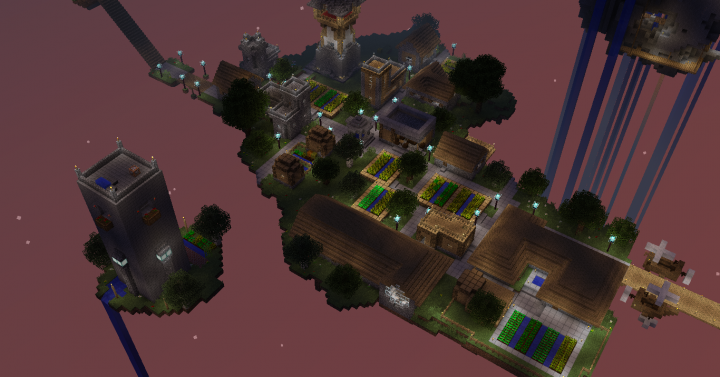 One World is a Farming world while another is a more Combat oriented world. 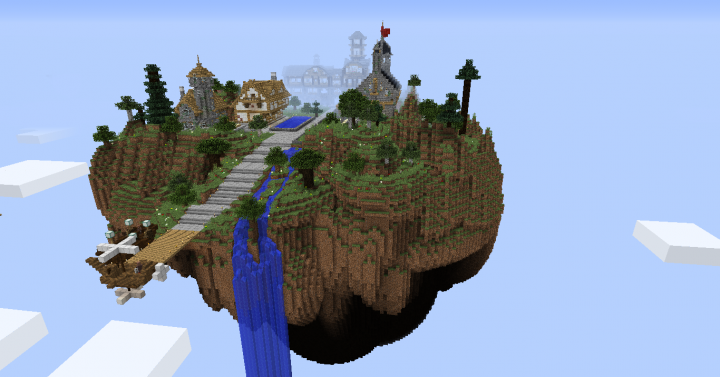 Players will choose a world that fits their play-style, and will live there with other players. Each world has a Wilderness that can be explored with limited resources. All of the Worlds are competing to claim a large, vast and unclaimed land simply being called "The Lawless Land." No one knows how old it is, but what everyone does know is that it has resources. Lots of them. 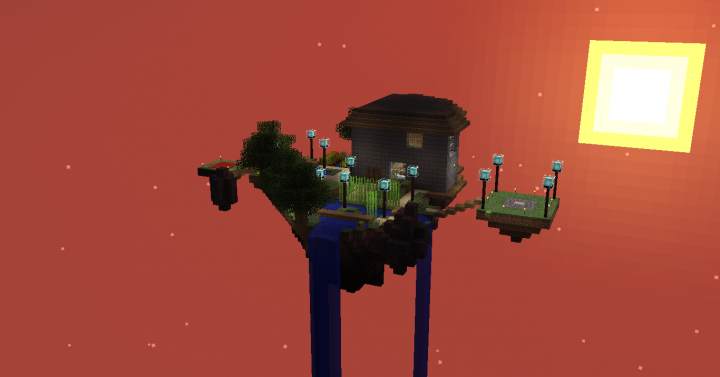 The server is set in a Sky Island setting. Below is a list of the current worlds that are being built and it's story. SYMPHONIA: A rich and peaceful farming world known for it's famous Traders and Merchants. Symphonians are naturals at farming, hunting and exploring and are usually highly social. They often avoid combat as much as possible, although they are not afraid to fight if needed. What they lack in strength they make up for in numbers. Symphonia has set its eyes on The New World in hopes of expanding their trade, and gaining new resources. ARIA: A wealthy world known for it's Artists, Traders and Explorers. Arians typically keep to themselves being isolationist by nature. The world is mountainous and jungle-like with cities filled with steam-powered technology everywhere. Arian's are know for being light on their feet and often use parkour and elytra to get around easily. Arians typically wish to remain neutral during Inter-World Wars and will do whatever they can to stay out of a war even if it means fighting back in the end anyway. Aria has set its eyes on The New World in hopes of exploring and documenting whatever they discover there to inspire new forms of art and trade. POLARIS: An Imperialistic world obsessed with conquest and the glory of combat. Polarians are known being highly intelligent with technology, and highly skilled in combat. They are highly nationalistic, Almost all Polarians are willing to die for their Empress and their World. Polarians love the thrill of combat and often go seeking it even if it means breaking the law. Polaris has set its eyes on The New World in hopes of conquering it and expanding their Empire and it's power to show off their own militaristic strength. NIFELHEIM: A cold, Nordic world. Nifelheim is known for it's understanding in magic, alchemy, hunting, and exploration. Although a mostly isolationist, When they travel, they do so in hopes of making new allies. Nifelheimens use magic for almost everything and very heavily rely on magic for day to day activities. They are willing to fight but only when provoked. Nifelheim has set its eyes on The New World in hopes of finding and discovering ancient types of magic and alchemy in its ruins to further their understanding of magic and alchemy. AVALON: A world known for its tales of heroic knights. Avalon is a world that is know for its plentiful fruit trees, deep lore, and its skilled adventurers, dastardly villains, and honorable knights. Many Avalonians believe that the weak should be protected by the strong. While not particularly technologically advanced, Avalon is rich in resources and has been know to been bountiful in fruit trees. Avalons lush-wilds are a dream for any hunter or adventurer. There also are rumors of an impossibly tall, ominous "Black Tower" owned by a ruthless crimelord in its southern regions. Avalon has set its eyes on The New World in hopes of adventure and gaining new resources and trade routes, and wish to discover the lands secrets. CRIMEA: A Once prosperous world fallen due to political strife after the assassination of it's previous Prime Minister. It's last remaining civilized city, "Bastion City" is the only glimpse of light in this world that has been stained by corruption. Crimeans are known for being expert monster-hunters, warriors and explorers. Many Crimeans fled the world and became bounty hunters. Crimeans are also extremely good at creating and crafting weaponry with very few resources and living off the land. The world is nearly devoid of resources in it's dangerous "Concrete Jungle." Crimea has set its eyes on The New World in hopes of gaining a new, more peaceful life, and will do whatever it takes to achieve that goal. THE NEW FRONTIER: A recently discovered island. Massive in size. Covered in thick forests, and mysterious ancient ruins. A Lawless Land. A World that belongs to no one. Rich in resources and extremely dangerous, here, only those who are strong enough and cunning enough will survive, and everyone else will be rotting in a grave. What are you here for? Is it for fame and glory? Or for a greater cause? Or your own desire? Each "World" will be split into at least two sections being the Capital City and the Wilderness. Each Worlds Wilderness is fitting to that worlds playstyle. 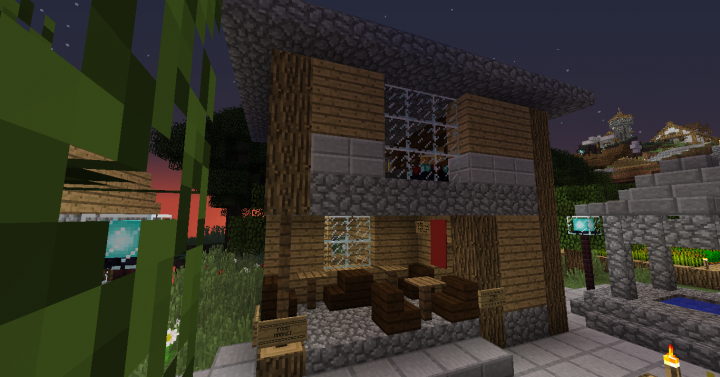 In the Wilderness, plays can build faction bases, set up their own town, or build a guildhouse. 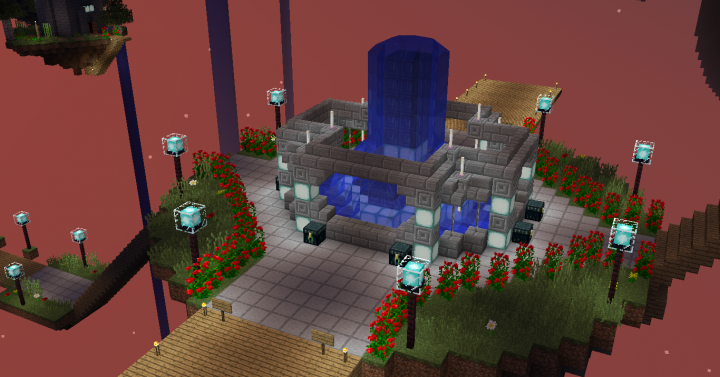 The Server will (hopefully) have the Factions, Towny, Team Survival and Guilds plugins. 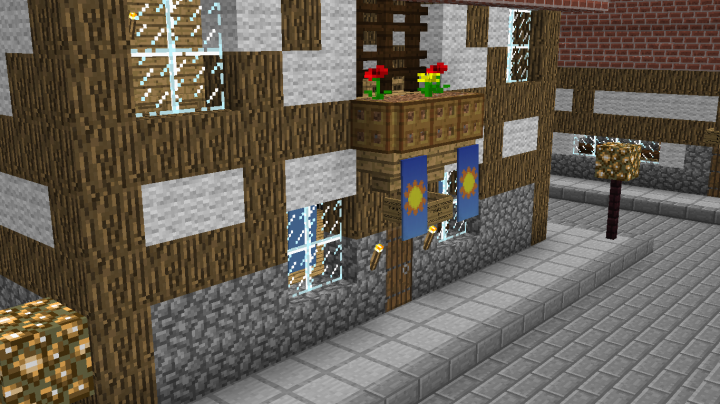 Each worlds capital will have a public guildhouse. 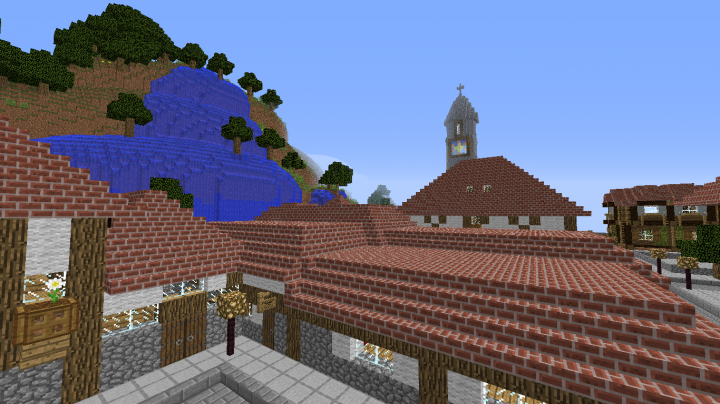 When a player sets up their own town, they can hire a Guild to protect it. Factions can (currently) choose whether they are Vigilante-type, or Criminal-type. There might be some Quests, making a sort of "Campaign" revolving around your world and why they need to go to that mysterious land. Rather than having donator ranks, we will have Donator Classes. These "classes" will be special kits that people who buy them can get at any time via the /kit plugin. They will be extremely cheap, but worth the money, and most importantly, well balanced to prevent a massive power-gap between worlds. Some worlds will allow access to unique "Donator Classes." I am not sure when this will be released but I can promise you that it WILL be released in the future. 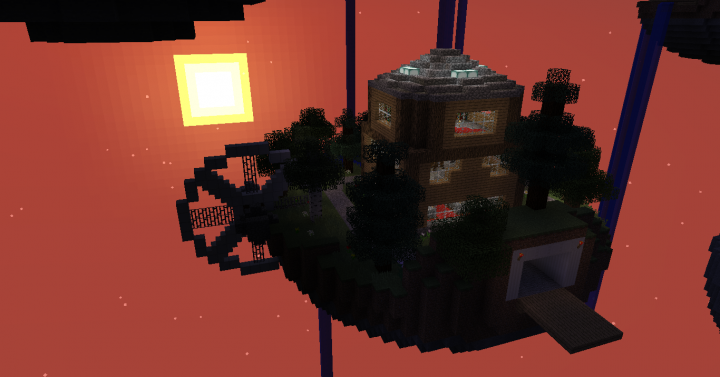 On another note, the two of the currently planned worlds are nearly complete. Symphonia and Avalon are both about roughly halfway done. 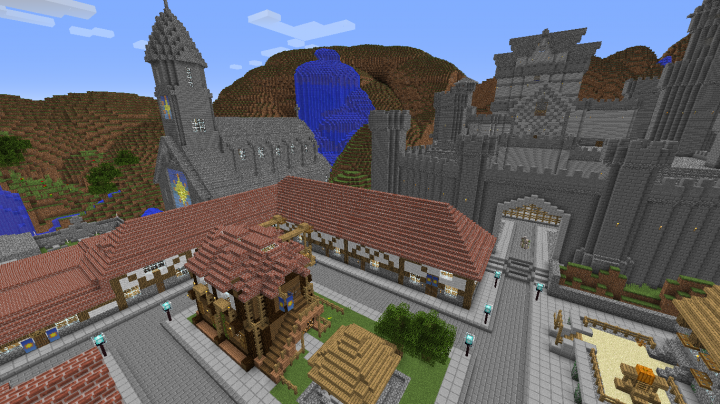 and should be done very shortly with updated images for both showcasing the finished worlds towns. The Wildlands of Avalon are roughly 25 percent complete as some of them didn't save correctly when moving the original maps build into the world in which the server will take place. The next world will most likely be Polaris which is also near completion. Sorry there was a delay in making the map. 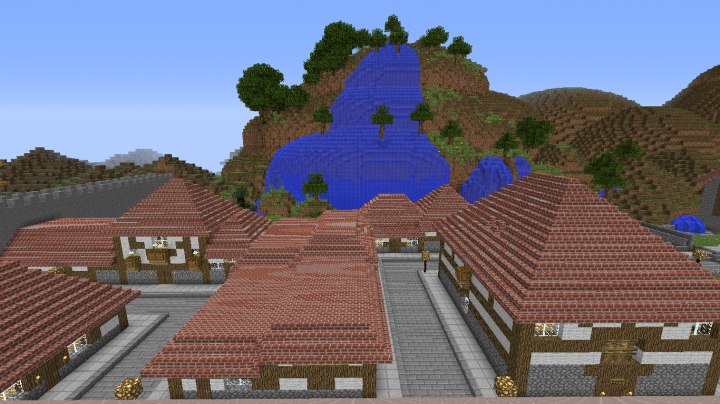 I don't rememeber if you rememer commenting on it, but is has not been abandoned, there was a bug upon finishing a town, and the towns had to be copied into a new world. It should be finished sometime soon, probably when the next update comes out. And thank you very much for being so paitent. With my classes starting since break ended about a month ago its hard to make time for this. You understand. 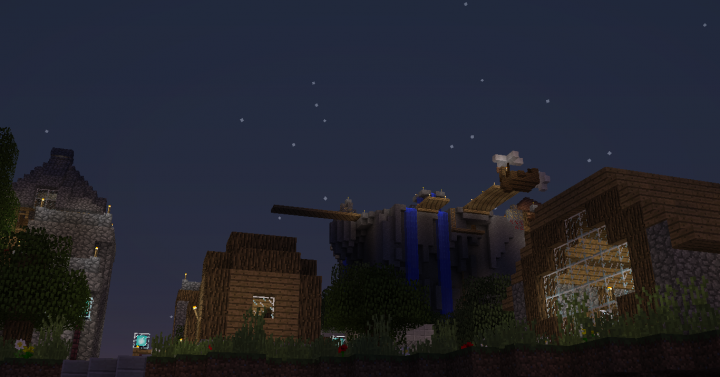 Anyway there have also be improvements such as a larger castle, and we are working on a texture pack. Have a Diamond Cookie for that!